Sweet Tooth: Spring is here! 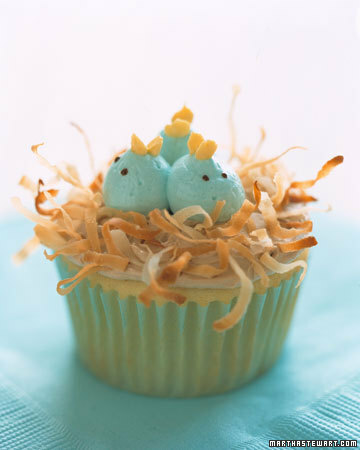 This is the perfect cupcake to welcome Spring. I'm not a huge fan of coconut, but Martha makes these look temptingly cute. A May bride could easily use these as favors to thank the ring bearer and flower girl.